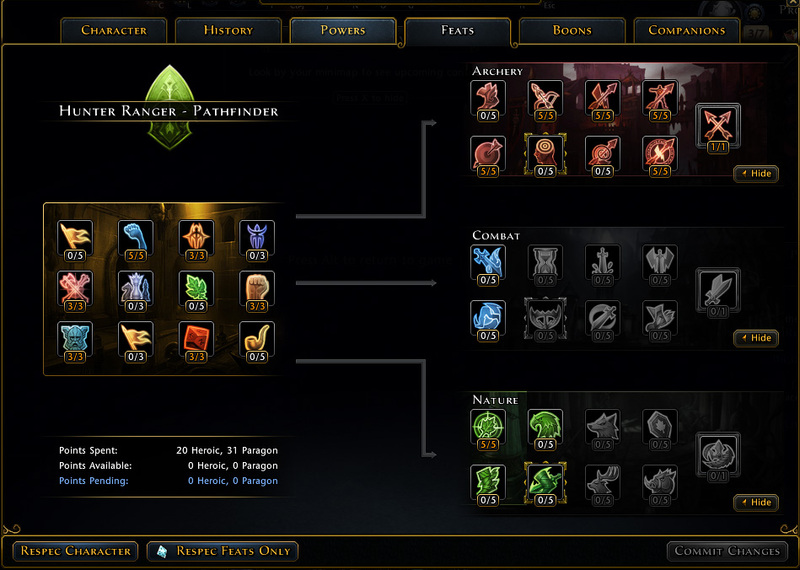 I’m fairly new here and Neverwinter in general, I’ve been playing only a few months. I come from a competitive background in almost every game I play, GuildWars and GuildWars 2 being the most relevant. GW1 I played in a consistent top 10 guild in the world verses World Champions and the best of the best. GW2 I teamed up with GW1 World Champions The Last Pride and played with their international team. I recently made the switch to path finder and have been loving it ever since. With proper skills and gameplay techniques it can make your character seem overpowered. This is my first guide so bare with me, hopefully it helps someone enjoy the game more. Everybody finds joy in winning and believe me you will be winning a lot more following this guide. I’ve tried to make this as **** friendly as possible, as I realize most people may not be at the levels of select few. One of the greatest strengths I find with this build is that its just so hard to die. If played correctly it’s almost impossible to die more than 3 times in a single game. This build has the perfect balance of attack and defense. GF, GWF, TR all melt, luckily for you that’s about 60% of all PvP classes right there. However gear is not everything. It also comes to strategy and how to play, which I will explain in another section. There is no single class that gives you trouble, however if I had to personally choose one I really hate playing against CW’s, even though constricting arrow does wonders around them they have a low of crowd control and will keep you still for someone else to wack at you. Another weakness I found is that I find myself struggling to do the 500 assists/kills under half health just because you’re never going to be there. 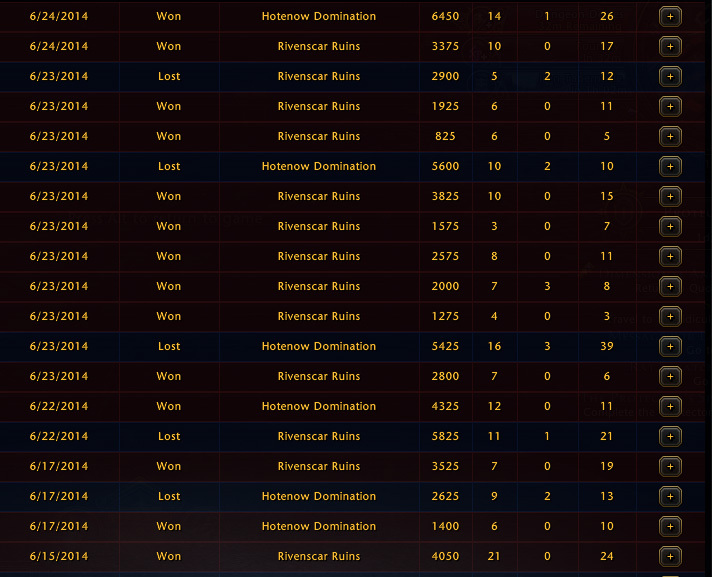 Some games I purposely try to keep myself low just so I can get some kills towards that. Not much of a weakness but still, its really annoying. In my opinion there is only one viable race that should be used when it comes to Hunter Rangers and that’s Wood Elf, what you want to do is put all your points into Dexterity and Wisdom. 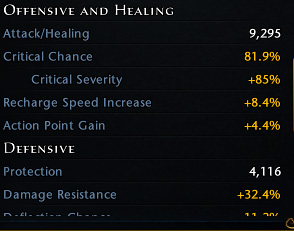 Fairly straight forward, increases damage and increases crit, and believe me you will crit and you will crit a lot. Feats are fairly straight forward, I experimented with Quarry for about a day but make no mistake about it, prime critical is the single best feat to have. Although the 5% extra damage may seem nice, being able to cast 2 thorn wards at once, or just spamming all of your encounters and watching people melt is a lot more satisfying than the 5%. As well, you end up doing more damage regardless just because you are able to spam your encounters. The IWD and PvP boons are mostly personal choice, this is just what I prefer, most important are obviously Dread Ring and Sharandar boons. I’ve been using Profound Combatants and as of right now I have not had a problem, can’t complain. With 2 Ring of Pegasus and the Armor Penetration bonuses from the set and 2x weapons you are able to reach all caps fairly easily while still having a good amount of regeneration/deflection and plain out tankability. Along with Vorpal and Soulforged Enchantments as well. Without a doubt the only two at-wills you should ever use are Hunter’s Teamwork and Aimed shot. Hunter’s to obviously mark your target and do not underestimate aimed strike. It does a fair bit of damage but most importantly with Careful Attack and a well placed Aimed Strike you can do a good amount of bleeding damage, this adds up as well helps provide crits to decrease downtime inbetween encounters. Aimed shot can easily do over 25+/1 shot many people. You just want to put yourself in a position to be able to pull it off. In my mind there are two encounters which are staples in the Hunter Ranger class, they are the most useful skills in pvp and should always be equipped. They are Marauder’s Rush and Fox Shift. With prime critical the cool downs on these skills is pretty much halved, which means you can spam them. In fact, spam all your encounters, there is no point of having them not on cool down, its just extra dps that you aren’t doing. That being said the third encounter could be one of two things. Thorn Ward or Constricting Arrow, each has their own perks, Thorn Ward is great for holding points and pretty much destroying any melee class, Constricting is great for chasing down and well as locking down annoying classes such as a TR or CW. I would recommend swapping these two encounters accordingly before every match. Simply push X and see what you are facing. Note: I have left some extra points left over, use them however you seem fit. I am currently holding on to them encase I have a need to spec something else. The two daily powers I would recommend using is Disrupting Shot and Forest Ghost, using Disrupting shot is useful for its daze effect as well it is an awesome finisher, the quick release is usually what it takes to kill people while they pop back from for soulforged or try to run for their lives. Forest Ghost has the synergy with Aimed Shot allowing you to get one off, and also provides another useful escape method. The two class features that you want to be using are Aspect of the Serpent and Aspect of the Lone Wolf, these two provide you with extra damage and survivability. In my honest opinion this is the most important part of this entire guide, I know I won’t be able to cover everything as I’m writing this now but hopefully I will be able to continuously update this and provide useful tips for newer players and even experienced ones as well. Fox Shift, a lot of this comes down to timing, patience and understanding of the game, it’s a free dodge, what more could you ask for? What you want to do is work on your timing and obviously hit it as you see yourself about to be hit. Fairly straight forward but it is something you could continuously be improving on as I am myself. Camera work is also extremely important, when on mounts or even standing around be active with your camera, always try to keep a 360 view, never keep it constant, this way you can see attacks coming from all angles and hitting your fox shift will be that much easier. Once dodging one of their encounters it automatically puts you at an advantage. Marauder’s Rush, this is hands down the best spell for the hunter ranger class. Not only because of the amazing damage that you can do, but the movement it provides. Here are a few situations which I typically find myself in and find this skill to be useful. The first is obviously as an escape. For example if you are running from the opposing team while you are on 3, use Marauder’s escape to create distance, turn around and switch to Marauder’s Rush, you will more than likely find someone on 2, using rush will not only damage them (and possibily kill them) it will create even more space from the opposing team that is behind you. Simple, yet effective. Don’t forget you can also use Marauder’s Escape as a way to close distance, if an enemy is running away from you, like those annoying GWF/TR simply turn backwards and hold the S key and use Maurader’s Escape. You will go backwards and quickly close any space they may have tried to create. This puts you in range to hit him and also switching to Maurader’s Rush again will close any remaining distance so you can finish your kill. I had used the word running before, and that in PvP is such an important word, as a player you have to pick your battles, there is no shame in running and there is nothing wrong with putting yourself in a better position to succeed. You want to make mental notes of who is the stronger players on the opposing team, I usually see which players I do the most damage to and make notes of that mentally. Then when in larger team fights I focus on the players which I know I can easily kill. This may seem like it’s the obvious thing to do but the times I’ve seen 3 people on a GF that’s taking no damage is ridiculous. Potions and Positioning, are so extremely important, you are a hunter ranger, you are not a GWF or GF, we have to use positioning to our advantage, being at a distance and getting 1-2 aimed shots can easily do over 40K+ damage, killing anyone on their team. Being at a safe distance allowed you to use Aimed shot which in my opinion is broken for the amount of damage it can do. Good players will find ways to get this off. Be one of them. Potions are part of the map, you should always know where they are and have an easily escape route to get to one. They are on the map to be used so don’t be afraid to use one. Usually potions are put in a position on high ground, going for a potion then shooting your opponents at a distance is a great way to get yourself back into a fight, and usually it’s not expected. I hope you all enjoyed my guide, as time goes on I will update this and hopefully add more insight, if I’m able to help atleast one person out there this will be more than worth it. If anyone has any questions or wants to PvP as well, feel free to add me at SniperX@Sandstorm777.